The PR turnaround that Pope Francis is leading in the Catholic Church right now is remarkable. In less than a year, we have seen the Bishop of Rome come from a place of public irrelevancy to becoming Time Magazine’s “Person of the Year.” Pope Francis has drawn copious praise from all sides of the political spectrum and awakened a newfound interest in the Catholic Church. 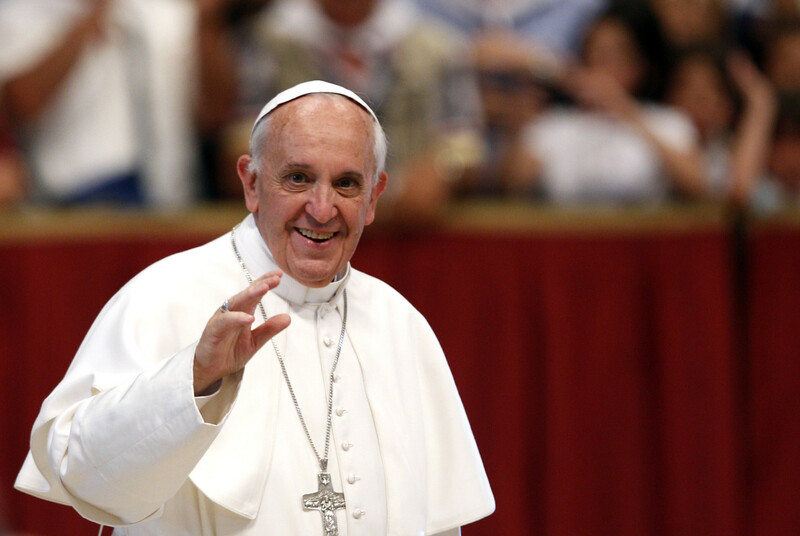 People everywhere are fired up about Pope Francis and what he means to the world. Meanwhile, in the United States, evangelical Christians are also fired up. But rather than being fired up about a fresh agenda to serve the poor or about bringing a prayerful focus on Jesus during the Advent season, Evangelicals are fired up about the television network A&E’s suspension of Phil Robertson from future episodes of Duck Dynasty. Undoubtedly, some of this outrage is to be expected. If we learned nothing from the great Chik-Fil-A debacle of 2012, we did see that Christians are more than willing to get angry when another Christian icon (or chicken company) is publicly criticized. Yet, here we are again, in the middle of what should be a peaceful Advent season, with an alarming amount of outrage over an issue which has little to do with the life or teachings of Jesus. Pope Francis has emphasized that the Church must focus less on social and political issues such as gay marriage, abortion, and contraception. While he has openly stated that he does indeed endorse the Church’s opinion on these controversial matters, he has opted to reprioritize the greater agenda of the church with a focus on serving the poor. Pope Francis opposes gay marriage, opposes abortion, and opposes many other things that the Catholic Church has traditionally condemned; however, these are not the key foci of his work. Pope Francis understands that the point of Christianity has relatively little to do with what Christians should not be doing, a great deal to do with what Christians should be doing. He understands that the Kingdom of God is not about prohibition and condemnation so much as it is about love and service. He understands that helping the downtrodden does more to further the Church’s mission than the condemning certain groups ever could. The Evangelical church would do well to follow in the steps of Pope Francis’ agenda to reprioritize the focus of our actions towards the restoration of the world. While social issues are important, they have become an enormous distraction. Pope Francis has recently faced criticism for stating that Capitalism is not the point of our faith, and his stand finds weight when you observe how easily Evangelicals can be swayed to serve the God of Mammon before the God of the Bible. The Kingdom of God is not profiting from the media firestorm started by those coming to Phil Robertson’s aid. Rather, corporations such as A&E, GQ, and especially the Robertson family themselves are the ones profiting. Moreover, the so-called “Christian” response to this entire matter has been to focus on a capitalistic form of punishment. 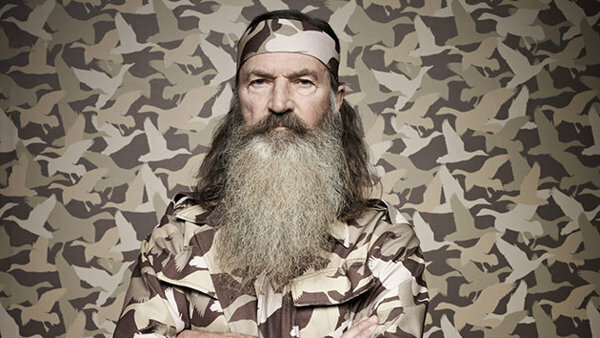 Christians are calling for the boycott of the A&E network to punish them for standing by their own convictions, while similarly, they are calling for the support of the Robertson family by encouraging people everywhere to buy their famous duck calls. At the end of the day, none of these things advance the Kingdom of God according to the theology of Jesus. If Christ had intended for his kingdom to be characterized by a free market and competitive industries, I somehow feel that he wouldn’t have spent so much time speaking about helping the poor, infirm, and needy. Capitalism was not the vehicle that Christ chose to deliver his message. The reality is that Evangelicals have become thoroughly distracted in another messy debate, and instead of standing against those aspects of capitalism that tend to oppress the already downtrodden, they are contemplating how to further financially enrich a family that already is wealthy. Wherever there are humans, there are celebrities – Christians are no exception. From time to time an author, football player, or actor will come on the scene and win us over with charm and talent. Phil Robertson is a sure example of this phenomenon. We love his family. The hard work and commitment to each other that they have displayed throughout the years is admirable and worth imitating. Nevertheless, Christians must be careful not to cross between the boundary of admiration and idolatry. Being a successful Christian who breaks into the upper echelons of society is not a bad thing. It is a tragedy, however, when the lives and words of these individuals are followed more closely than those of Jesus. We admire and desire to show love like Pope Francis, but we do not worship him. We worship Jesus. My fear is that in spending so much energy defending Phil Robertson, the Christian church could miss the opportunity to worship God fully during this Advent season. Instead of focusing on the more foundational aspects of the Christian faith, time will be wasted arguing on behalf of a man who was quoted saying some seriously insensitive things. Ultimately, Christians who are truly upset by this whole debacle have two options: The first option is to join with Christian leaders like Pope Francis who prioritize standing against oppression, standing up for those in need, and speaking a message of love. We could choose, like Pope Francis has, to reject cultural norms and focus on following Christ. The alternative? We all jump into the Chik-Fil-A-mobile and rush down to Louisiana to save Phil Robertson from his persecutors. Instead of choosing the sensationalism of this Duck Dynasty dilemma, I hope the Christian church will choose a reprioritization towards loving those in need. Who knows, maybe will have a PR resurgence too. Great post. I feel like there is a major paradigm shift in the church happening. I like how you sum it up with: Focus and Distractions.